The NLIMIT reduces fuel consumption and exhaust emissions by monitoring locomotive operating parameters and automatically shutting down and restarting the engine during appropriate locomotive idle times. The heart of the NLIMIT is a powerful microprocessor and is based on a modular concept, in which functions can be added later without changing the entire system. Its compact design allows for flexible installation in a variety of locomotive cabinets regardless of manufacture and vintage. High Idle Control: can help maintain operational engine temperature in cold weather. 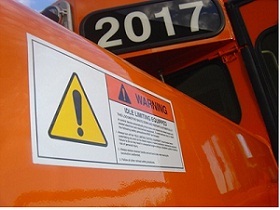 Low Idle Control: can provide additional fuel savings when the locomotive is idle waiting for an NLIMIT engine shut down. Additional recording functions such as Locomotive kilowatt-hour or locomotive speed and distance.